USCF TO PUSH "BRAIN PILL?" In news releases issued by USCF on June 6 and and Natrol Inc. on June 8, the two companies have announced a cooperative agreement under which USCF will promote Natrol's product brainSpeed (TM), described by its maker as "The new cognitive health supplement designed to help improve mental agility, promote attention and maintain memory," statements that Natrol admits have not been evaluated by the Food and Drug Administration. The company also states that its product "has been developed to take chess players to the next level by targeting the cholinergic system- the key to mental processing speed- by helping to accelerate reaction time, improve decision making velocity and promote mental acuity." The Natrol release, entitled "Can a Brain Pill Make You a Better Chess Player?" quotes USCF President Beatriz Marinello: "Clearly chess is a game of the mind and working at the top of your mental processing powers is critical to tournament play. We are delighted to be embarking on this alliance with Natrol and we see a direct connection between brainSpeed and our membership. We look forward to many unique events together in the future." Natrol ran the "brainSpeed Human Chess Challenge" at the recently completed National Open, where Executive Board member Elizabeth Shaughnessy vigorously defended the new marketing deal from criticism. However, the idea of USCF endorsing these "Brain Pills" has encountered strong objections from the membership. See examples below. CALIFORNIA DISTRICT ATTORNEYS REACH $250,000 SETTLEMENT OF MISLEADING ADVERTISING AND PROPOSITION 65 CASE WITH DIETARY SUPPLEMENT MANUFACTURER NATROL, INC.
Sonoma County District Attorney Stephan Passalacqua, Napa County District Attorney Gary Lieberstein, and Solano County District Attorney David W. Paulson, announced a $250,000 settlement against Natrol, Inc., of Chatsworth, California, and its president Elliott Balbert. The defendants were charged in civil lawsuits filed by the district attorneys with making false and misleading advertising claims for their chitosan-based weight loss products, and with selling weight loss products that contained too much lead, in excess of that allowed by Proposition 65. How could USCF agree to make an alliance with such a company? Ordinarily, any Executive Director or Chief Operating Officer considering such a thing would discuss this with the Executive Board. One person can make a mistake, but it is unlikely that an entire Board would fail to consult affiliates and members for their reaction. It is also likely that at least one Board member would point out that we should do a little research on the company- such as typing their name into a search engine- before signing an agreement to market their products. In the case of Beatriz Marinello, though, who was COO from 1/05 through 5/05, the President and COO were the same person, and that President often made decisions without checking with her Board, a situation her supporters on the Board permitted. Too much power concentrated in the hands of one individual is not a desirable way to run the Federation. Apparently, Marinello and her "success team" now realize that the Natrol alliance was a gross blunder. The Natrol deal was prominently featured on the USCF website until June 13, when mention of it was suddenly removed without explanation, and EB member Randy Bauer now says that the USCF-Natrol alliance will be terminated. Here is the Natrol settlement story that appeared in the Santa Rosa Press Democrat. Click here to see the original Natrol announcement. Should the USCF be promoting, condoning, advocating, or in any way endorsing the use of performance enhancers, especially for young people? The next four posts are from the USCF forums. Edgy, whose post is quoted, was the only one to support the brainSpeed deal. I was (to say the very least) disappointed to receive 4 or 5 emails regarding this "brain boosting" stuff. I don't think USCF needs to be in the drug or supplement business. This was a major blunder--and I think members deserve an apology. Before this thread started, I did not care who was on the ballot for the USCF executive board. After reading on www.uschess.org , the use of brainspeed as a drug for players to use during the tournament. The elected members of the Executive Board should have understood this product before it was place onto the website. If the Executive Board did not understand this product, then they should not be on the board. Having the federation promoting the use of any drug, just to play better at any tournament: is asking all our members to use this drug. If you are a adult, do not care if you want to use this drug. As there is very little science showing any drug can make any player smarter, or better behind the chess board. Since we have scholastic members, what are we telling the parents and school officials about drugs? How can I go to a local school and tell the parents and school officials about the federation, without the fact the USCF is now wanting players to use brainspeed? The goal of scholastic chess, is to keep children away from crime and drugs. It is not goal of finding the next Fischer, it is to give a postive goal in life. How can I look into the parents or school officials to say its ok to take drugs before and during the tournament. The reason why scholastic chess has done so well with school officials, as there never been any question of drugs. Since the advertisment of brainspeed is now and was on the USCF website. It is now a overt act to say drugs are fine to take. If the public feel that tournament players are or could take drugs, it will place a mark on each and everyone that plays chess. Look what has happened with pro-baseball or any sport you want to point out. The members in the sport, have to prove they are the best without any drugs. Having everyone feel your in the sport without drugs, will always have people question all the time. The USCF was not thinking of the social and political problems with this overt act of this drug called brainspeed. This has to change not next week or next year. This policy has to change now. If the policy is to keep with brainspeed, then I cannot ask a scholastic player to join. If the policy is to keep with brainspeed, then I will not have rated or unrated scholastic events again. As I have an ethical problem telling parents and school officials that drugs are ok to take. How can I support scholastic players to take brainspeed, just to be better then your opponent. If being the director of a scholastic event, if one is on brainspeed, then I'm supporting the use of a drug. I cannot support the use of brainspeed, the only way to make sure the drug is not used in the tournament, is not be the director. The goal for myself for scholastic tournaments, is to give the children a positive goal. Have the children play chess, to give a positive goal of self worth. How can I say you can become more then the sum of your parts with a drug like brainspeed. Now I cannot perform as a scholastic director, as the federation says brainspeed is ok.
Posted: Sat Jun 11, 2005 6:21 pm Post subject: It is an outrage! What is Chess? What does it teach? What does it require for success and satisfaction? Strategy! Thinking ahead! Planning for the future. The most enjoyable moments in chess are those where a few pieces are moved on both sides "AS PLANNED" and a devastating pin or check is discovered. The longer the anticipation, the stronger the joy. Logically, one would deduce that the people entrusted with leading a prominent chess organization would be leading CHESS into the future. I see NULL evidence of even Zugzwang, let alone the actual planning for Chess’ development to it’s complete potential. So WHY would these people promote a product to procure some simple pennies in the present with complete disrespect for Chess’ rich past and future prospects? I made sure to feed my daughter salmon and eggs when she was an infant and toddler and still do at age 6. I am clearly a proponent of filling my daughter’s mind with the essential nutrients and experiences to allow her brain to reach its potentials. But I give her the WHOLE egg. The WHOLE salmon. Not some shortcut. Not some pill promoted to garner shekels. Just like I am introducing her to the whole game of chess. Beyond strategy there are tactics. There are strong openings. There are checkmates. Our leaders should be teaching our children that there are NO shortcuts in life. Just as there are no shortcuts in chess. Especially in Chess. They even warn at the merchandise’s manufacturer’s website that no one under the age of 18 should take these pills. So who will pay when children do manage to get some? When they take dozens of them. Isn’t the current Steroids example a stark enough example? Why begin a journey on a line the rest of the world is beginning to file away. Which chess players succeed? Those that only try to spring “Fool’s Mate” and Scholar’s mate in every opening???? Or those that build a solid foundation!!? In this day and age where it is documented that people want too many quick and speedy gratifications I can think of no greater INCONGRUITY than pushing these pills. Chess should be marketed as an activity, which provides contentment and rewards for time and effort. The children of Chess are the future of CHESS. Every move should be planned with them and that in mind. They say all publicity is good. Not in this case. They are publicizing a mindset, which advocates shortcuts instead of productive time and effort. Oh, bilge. First of all, it's not a drug. If you think that supplements like Brianspeed should be regulated like drugs, then once again, you should write your congresscritter. The sponsor seems as far as I can see to be a company operating entirely within the law. I think USCF should take their money. If Maker's Mark wants to sponsor a tournament or a prize, USCF should take their money, too. If Philip Morris wants to take over the Grand Prix and call it the Marlboro Grnad Prix, USCF should take that money. Not to do that is obviously stupid. I can’t disagree more with “edgy’s” comments. I find them extremely naive and careless. I work in the non-profit industry and also have a background in neurology. I don’t know anything about the “Brainspeed” pill, but I was taken a back when I heard that it was a sponsor for the USCF. Sponsorships, grants, memberships are VERY difficult things to procure as a non-profit. Money is a BIG DEAL. But you need to have proper leadership that won’t compromise its vision to just make money… it’s callous and careless. The supplement industry has grown exponentially in the last decade. Associating yourself with a supplement can be a PR NIGHTMARE. If you know anything about the supplement business you will know that it has had some very bad backlash. Ephedra is a prime example of this. This was a simple over the counter SUPPLEMENT that has caused people to die. There are numerous other examples: Kava is a supplement promising relaxation, reduced sleeplessness, and has been linked to liver damage. There are tons of others. And to head-off any arguments about “safe” supplements. Supplements have been shown to do things from increasing endurance (caffeine) to increasing concentration (Gingko-biloba). But does anyone concern themselves with there possible side effects??!?! Did you know that they have side effects? I’ll take Gingko for example. It can act as a blood thinner and may be contraindicated when an individual is using anticoagulants drugs (e.g., Coumadin or aspirin) or dietary supplements such as vitamin E or fish oil, which also have anticoagulant properties. And very large doses may cause restlessness, diarrhea, nausea and vomiting. Taking a supplemental pill every day (even vitamins) could be dangerous to one’s health, and should be taken with care. Did you know high levels of iron in the blood are becoming a more common problem in the elderly who take vitamin and mineral supplements? All I’m saying is that supplements, while considered “foods,” can be dangerous. Picking up a sponsorship should not be taken lightly, and should not be an easy decision that is based solely on the money factor. I would be interested in knowing how this decision came to pass. 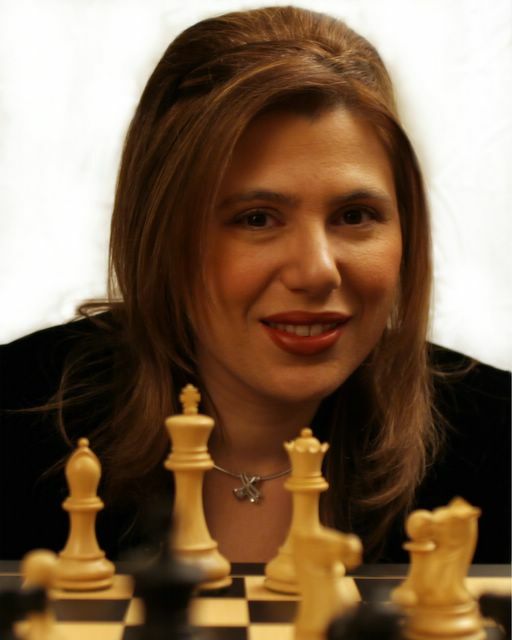 The remaining posts are from Susan Polgar's forum. I don't have to time to read the whole thing but skimming through it got my blood boiling. I think it is embarassing. I believe it is dangerous. What a TERRIBLE thing to teach to children. How about telling the world that hard work is the "secret" to performing well on the board. Chess is getting more and more like boxing , not less. BTW, Susan how was the simul? Wish I could have flown to Vegas. Are you sisters going to be in NYC anytime this week?? It is appalling to my sisters and me as well. I am totally against any drug claiming to help people play better chess. It is worst when more than half of the members are young people. What kind of message are we giving our children? This is totally shocking! All the events in Las Vegas went very well. There was a big crowd in all of our events. My sisters will go straight back home. We should be publicizing a completely contrary way of thinking for a lasting growing future for Chess and its participants. As a neuroscientist, I am seriously thinking of cancelling my membership to USCF because of this. First, it is clear that there exist drugs which aid attention, memory, and mental stamina. Almost all such psychopharmacological agents act by changing the concentrations of neurotransmitters of the synapses in the central nervous system (neurotransmitters are chemicals released by neurons: it is how they communicate with one another; these transmitters are released into synapses, which are tiny contact points between neurons). Caffeine and amphetamines are good examples. The promoters of this drug say it works on the cholinergic systems of the brain (that is, it causes more acetylcholine (a neurotransmitter) to accumulate in synapses; this is *hypothesized* in neuroscience to be a key element in the attentional system of the human brain). Nicotine also targets the cholinergic system, and has been shown to improve attention/memory. Why don't we hook everyone up with nicotine patches at chess tournaments? The ingredient list for the product is here. Aside from some standard B vitamins, it includes four other ingredients, two of which are herbal extracts, which have not gone through the process of clinical trials to evaluate safety. The other two are known to boost acetylchonine levels in the brain (like nicotine). Note that on their web site, they stress that "These statements [i.e., their claims about how great the drug is] have not been evaluated by the Food and Drug Administration." It also says "Keep out of reach of children." The drugs' potential side effects, effects of long term use, and especially long term effects on developing brains, have not been evaluated. Everyone knows how addictive nicotine is: this drug, which targets the same system, is likely to be addictive as well. They say to take two tablets a day: how long before you can't stop? That the USCF has sold out to some new-age hack company trying to make a quick buck is sickening. Do the decision makers at USCF ever consult its members before making decisions like these? I don't think I want to be part of an organization like this. It is sending the wrong message to kids, and is promoting a drug with potentially harmful long-term effects. The USCF is whoring out its name to a company selling "smart drugs". Chess is known as a thinker's game, so the benefits to the company are obvious. What benefits, besides MONEY, could USCF get from this? I got the USCF email on this product and I couldn't believe they would endorse such things. I loathe junk mail and I consider this an abuse of their membership. Unbelievable. No time to investigate this but there must be definately something wrong with the USCF. What kind of people lead this organization? Are they elected democraticaly? and many other chess websites. Does anyone know how to find out which board members voted for this policy and which ones voted against it?? Yes, Peter there is a democratic election and by chance our ballots are due in the mail less than a month. Beatriz Marinello, Elizabeth Shaughnessy, and Tim Hanke voted to endorse the drug. Beatriz and Elizabeth are chess teachers and they make a living working with kids. And yet they have no problem endorsing chess drugs for kids. They are also the same three who voted to kill the US Women's Olympiad Team. Unbelievable! EDITOR'S NOTE: I am not aware of evidence that Hanke or Shaughnessy voted for the brainSpeed partnership. There was no Board vote. As Marinello was Chief Operating Officer and has spoken for it, it is likely she arranged the deal, and Shaughnessy strongly defended it at the National Open, but I have not heard an opinion from Hanke. It is shocking that chess coaches like Elizabeth Shaughnessy and Beatriz Marinello can defend chess drugs aiming for young people. They should make the contract they signed with the company available to members of USCF. As a member, I don't want stupid advertisements for a new version of nicotine, I want them to open up their books in the next issue of Chess Life and let me see all the details of this business arrangment: we pay their @#$% salaries and they should be accountable to us! Is there anyone out there who thinks this is a good idea? Perhaps there is an end justifies the means thought process: this will really help get USCF more popular. For one, all marketers know controversy breeds exposure. Also, maybe the money they make from this will be used to promote chess and get more people, or maybe the money will help furnish the new offices in Tennessee. At any rate, whatever ends they had in mind is not justified by these foolish means. I agree Blue Devil, this is very bad. Beatriz and Elizabeth should resign immediately. Endorsing a chess enhancement drug to kids is simply inexcusable! My sisters and I voiced our opinions about this as soon as we heard it. I personally think that it is despicable for a national chess federation to endorse and promote a chess drug that claimed to take chess players to another level. This company went after kids at the National Open. The advertisement is very deceptive. One may even say that it contains outrageous lies. I am ABSOLUTELY against chess drugs. That is why you're the perfect ambassador to chess. You have always fought to protect the integrity of this game while chess politicians fight for their own interests. I will vote NO NO NO to Elizabeth Shaughnessy and Bill Goichberg in this election. I will also vote NO to Sam Sloan. Chess politicians have no business running the USCF. Thank you Susan for all you've done for American Chess and Chess overall! You're the best! EDITOR'S NOTE: This poster is probably confused as I (Bill Goichberg) am totally opposed to the brainSpeed partnership. I can't believe what the USCF is doing. How can they promote the lies about this chess drug Natrol? It's worst when it's promoted to kids. I won't renew my membership until the current leadership resigns. Unbelievable! I just hope that this is a web hoax or a bad dream. Unfortunately, it is real. They were here in Las Vegas and they were targeting many young players. I was very sad to see that and I spoke out against it as much as I could. It is also disheartening when many of us are doing everything we can to promote chess positively, the leadership of the USCF is pulling stuns like this. This is the same like after we won the first ever Olympiad medals, the USCF leadership refused to put the pictures of the team on the cover. They refused to promote the team. They refused to promote the US Champions. They even went one step further by making sure that the 2004 team is dismantled and we will not have a chance to aim for the Gold in 2006. I agree with you. I feel that the current leadership of the USCF (Marinello, Hanke and Shaughnessy) has been a disaster. My opinion of them may improve if they have the decency to apologize to the members for this latest fiasco. I don't see that happening though.